Consistency is an often overlooked key component to a happy healthy lawn. Weekly lawn maintenance is important to help promote and maintain healthy blade growth, to reduce weed invasion and to assist in avoiding insect infestations. Having a trained professional on your property on a weekly basis means your property will always look it’s best. Our trained professionals have the ability to diagnose developing problems before they become major issues. Quickly recognizing a problem and finding a solution can also save you money. From over watering or under watering issues, to pest and diseases we know what to look for and how to fix the problem fast and efficiently. A thick lush lawn is your best defence in avoiding unwanted guests in your lawn. We can supply you with a variety of options including clipping removal or mulching. Bagging the clippings is typically done at the beginning and end of the season when turf tends to grow more quickly, therefore, not leaving any untidy debris on the turf after cutting. Bagging also helps reduce the spread of clippings around pools, patio areas, and high traffic areas near the entrances to houses. If we are trying to reduce thatch in a lawn, removing the clippings each cut can also help in this process. For these reasons, we provide this service year-round, when requested or needed. During the warmer months, clippings should be left on the lawn to provide a nitrogen base for feeding the turf. We use a special twin blade on our mowers to cut each blade into small pieces to expedite the deterioration process. These clippings will break down and provide nutrients to both the turf and soil, while also providing shade to the root base and assists in holding moisture at root level. This is our standard practice for the majority of our properties. Utilizing our trained, professional, uniformed staff with ongoing training, industry knowledge and Certification, RD Landscaping Inc. can get you there. 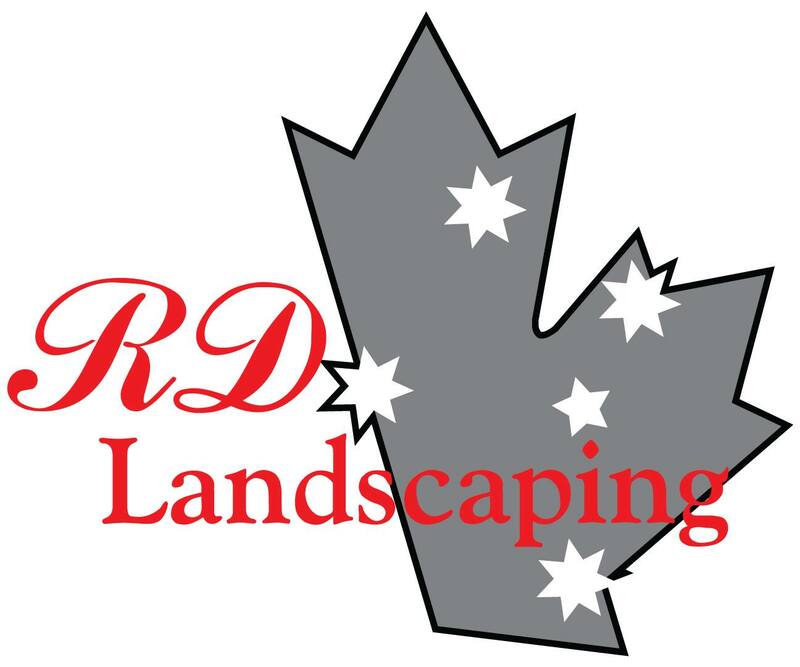 RD Landscaping Inc.'s Team is passionate about what they do and the pride of ownership is at the forefront of what we do. From the CEO to our newest employees, the staff is approachable and encouraged to listen to a client’s wants and needs and assist in executing them. Anyone can cut grass. Few do it Properly.